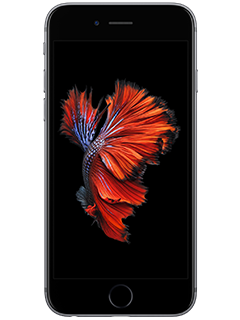 Get a $149.99 iPhone 6s and $45 AT&T PREPAID account credit for a Total of $194.99, plus tax. While supplies last. See offer details. A 4.7-inch Retina HD display(1). A9 chip. Front and back cameras. Long battery life. Ends 4/11/19. Online and at participating AT&T Retail stores only. Requires activation of new line with payment on monthly plan (min. $50) & 3 monthly service payments within 90 days of activation. Taxes are extra. Must activate device prior to end date of promotion. Customer will receive text message within 3-5 days after third monthly payment is made with an 8-digit promo code and instructions on how to redeem reward at att.com/claimyourcard. After 3 monthly service payments have been made within 90 days of activation and customer has redeemed online with 8-digit promo code, AT&T Visa Reward Card will be shipped to address provided to att.com/claimyourcard. Allow 4-6 weeks after redemption for gift card to arrive. Multi-line account owners & members also qualify. For qualified owner/member accounts, the card will be mailed to the address entered during the promo enrollment. Card expires at month-end 6 months after issuance. No cash access. For cardholder agreement, go to rewardcenter.att.com/myrewardcard/agreement_FSV.pdf. AT&T Reward Card issued by U.S. Bank National Association, pursuant to license from Visa U.S.A. Inc. All offers, promotions, pricing, terms, restrictions & conditions subject to change & may be modified, discontinued or terminated at any time without notice. GENERAL TERMS: By activating/using service, you agree to be bound by Terms of Service & Plan Terms (att.com/prepaidterms). Account will be canceled unless you add money within 26 days of activation. Service is available for 30 days and expires at 11:59 p.m. CT on the 30th day. Voice: Calls to special and premium services may be blocked. Service cannot be resold or used for fraudulent purposes. Geographic, usage & other terms, conditions, and restrictions apply. Taxes and other charges may apply, see att.com/prepaid for details. Plan subject to change and may be changed or discontinued at any time without notice. Service provided by AT&T Mobility and is subject to AT&T’s Network management policies, see att.com/broadbandinfo for details. See store for details.